I know it's a Wednesday night but that doesn't mean you shouldn't be heading downtown tonight. We all know it's good to kick back on the sofa but Frightened Rabbit came all the way from Scotland just to play you some music, the least you can do is head downtown to hear them. They'll be hitting Stubb's Waller Creek Amphitheater tonight, which means it's an early show so even if you have to work you really have no excuse to not be there. The music outside will be done by 10pm. Frightened Rabbit's latest LP is called The Winter of Mixed Drinks and it is one of the most gorgeous and honest records I've listened to all year. If you have, somehow, missed out on hearing them perform live expect a rollicking good time. Sure some of the tunes are somber, on record, but they are quite dance-able live. Don't ask me to dance though, I just sort of nod my head. Perhaps, I'll whip my hair back and forth if you ask nicely though. Starting things out tonight will be, Bloggy-favs, Bad Veins. I caught them at Emo's over a year ago when they had kind of a crappy time-slot so I'm glad they'll get a chance to play for a larger audience. Their latest LP was one of my favorites of 2009 and I feel like it was largely overlooked. They also have a more recent EP called, Outliers, which I'm sure you can pick up at the show. After the outside show tonight, my boyfriend is very excited for Bettie Serveert on Stubb's inside stage. I don't really know anything about them but he's been excited to see them since 1992. 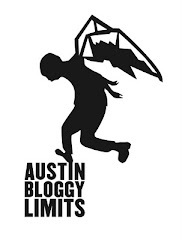 I'll just refer you to his post over on, the more prominently read site, Austinist.